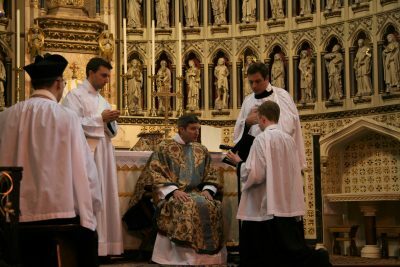 Along the path to the Sacrament of Holy Orders, two Ministries are conferred, the first of which is that of Lector. This gives a man the special task of meditating upon the Word of God, of proclaiming it in the Sacred Liturgy, and of teaching and catechizing others. Br Benedict was made a lector on Saturday, the feast of Our Lady of the Rosary. 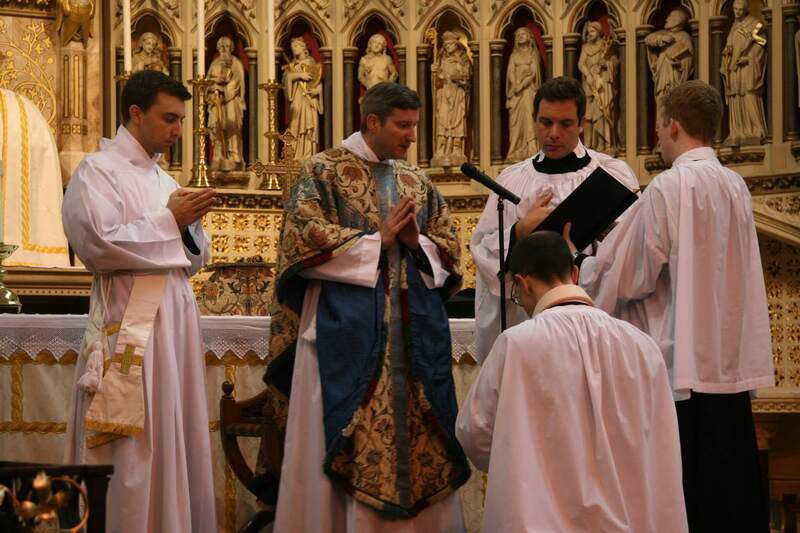 Please pray for him as he continues his priestly studies. Do note that the sling around Br Benedict's neck is not a sign of his lectoral dignity, but because he has broken his arm. We pray for a swift recovery.